One hour. 60 minutes. That’s it. Show up in your business every day for at least one hour. In an ideal world we would have all the time to be creative, create awesome marketing plans, be disruptive in our industries, but the reality is that most of us don’t even have time to throw on mascara before we head out the door to tackle our never-ending to-do list. I get it, you’re super busy! You’ve got a day-job, dinner to make, a work out to squeeze in and 1000 other things you need to do but those 60 minutes in your business are equally important. The problem we, creative business owners, typically face is that we create these mega lists of things we need to get done in our businesses- post on facebook, search out new trending hashtags, photograph content for next blog post, read a business book, and the list goes on and on and on and on.. well, you get the picture. The beauty of the one hour approach is that it is do-able, and more importantly, it’s not intimidating. When you write out that never ending to-do list, you are setting yourself up for failure. You think “NO WAY is that getting completed today!” or you start working on the easy, less important items. The one hour a day approach forces you to identify the most important actions that need to be completed in your business TODAY! Best of all, you actually get the important work done (or at least started!) because you showed up and committed to making that one hour count. TAKEAWAY: Look at your schedule, where can you squeeze in one hour every day? Wake up a bit earlier? Cut out Netflix during weekdays? Use your lunch hour at the day job for your business? Once you find it, schedule it into your agenda. Save even more time by signing up for a stylish stock photography membership! We’ve got 100s of photographs in our collection that will support your marketing strategies, keep your social media feeds on point and, most importantly, help you get back some of your valuable time! New to our collection next week is our bright, spring inspired collection, Fresh. We created a whole collection focused on your spring table. 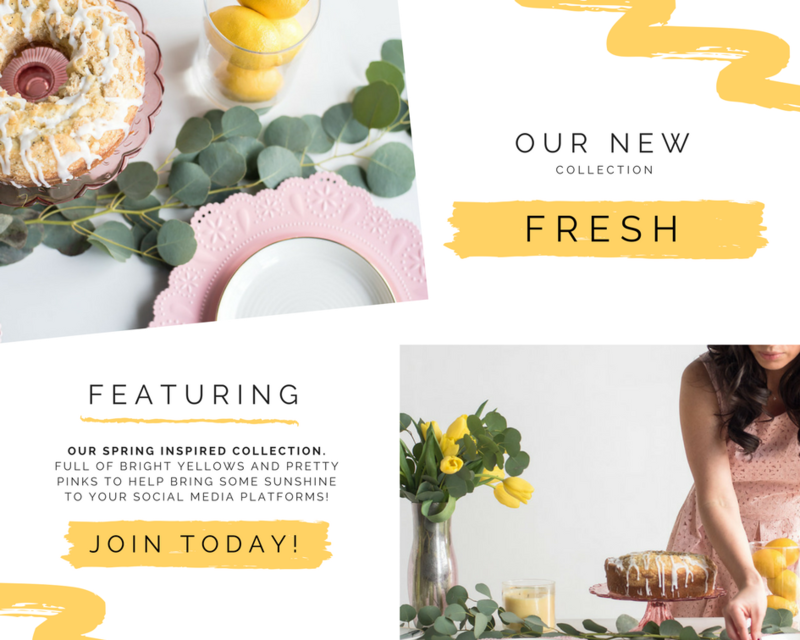 It’s full of bright yellows and pretty pinks to help bring some sunshine to your social media platforms- just in time for Easter too!